The concert room at the Mill was packed on Friday night. Strangers offered to share underutilized tables with those coming in late, and that attitude was befitting of the good vibes and well wishes flowing through the lyrics of the night’s band, Crystal City. 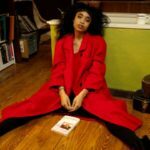 The bio on Crystal City’s website lists influences such as Tom Petty and John Prine. Lyrically, these influences were apparent. Songs were mostly about the experiences of everyday life, very much relatable to all. They generally expressed optimism and a joy to have the chance to partake in life. 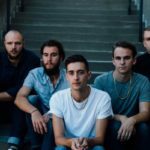 “Summertime’s Here,” from the 2017 album Bartenderly, exemplifies Crystal City’s good-time attitude and sound. Musically, however, the comparison that kept coming up for me was the Grateful Dead. The melodies were simple and catchy, the musicians were polished without showing off, and I constantly caught myself tapping my feet under the table. 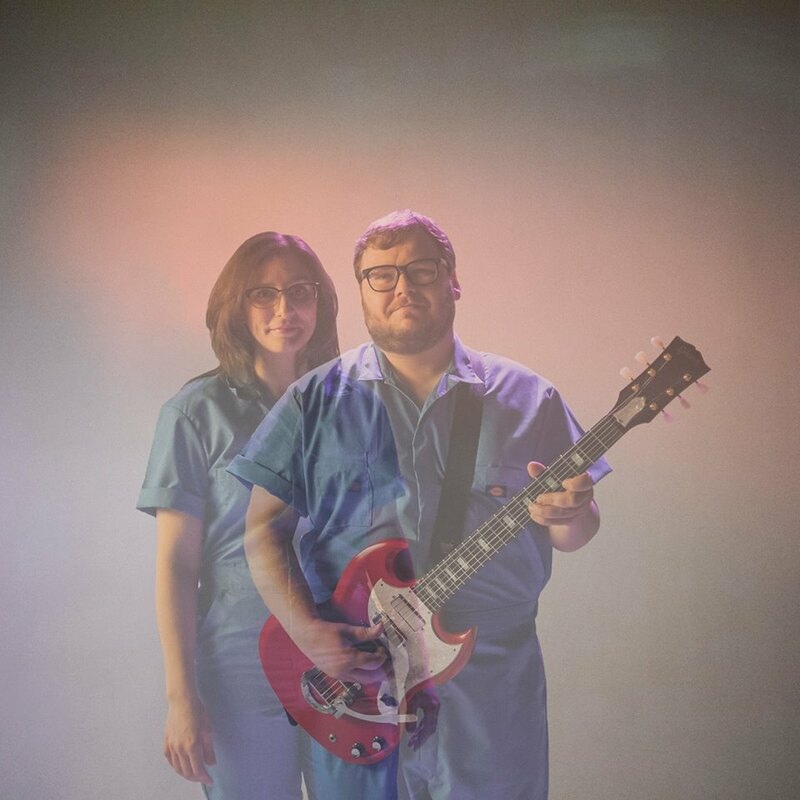 With songs like “Saturday Night,” “Summertime’s Here,” and “Vacation Eyes,” this is the type of band you’d put over a movie’s summer cookout or beach party montage. 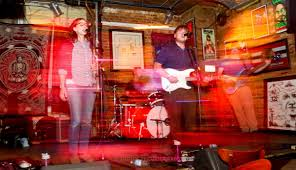 Dave Helmer and Sam Drella have a great chemistry providing the vocals, and the personality, of the Crystal City. The seven-person band is fronted by Dave Helmer, who strummed an acoustic guitar and had a knack for belting out fast-paced vocals reminiscent of Blues Traveler front man John Popper (without the harmonica). Sam Drella provided female backing vocals while keeping the mood light on stage and showing off an impressive display of melodic whistling, much to the crowd’s delight. These two clearly have great rapport and did commendable work sustaining the crowd’s energy despite the limited space of the crowded stage. Another highlight was the lead guitarist, whose occasional solos sounded like vintage classic rock, cutting through every booth- and table-conversation at The Mill. These provided useful breaks in the lyrical action that made the vocals seem fresh when they started back again. The band was promoting their new album, Three-Dimensionality, coming out on April 19. It is Crystal City’s third album, following 2014’s Change and 2017’s Bartenderly, and is described by the band as a “more complex and thought-provoking side of Crystal City.” Let’s hope that, despite getting a little deeper, they don’t lose the good-timing sound that gives them such charm. 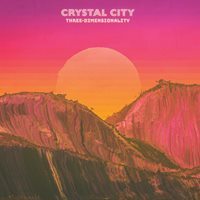 Crystal City’s third album, Three-Dimensionality, is due out April 19. Later this summer, the band will be playing at 80/35. An outdoor concert amid a larger music festival seems like the ideal setting to see this band play. 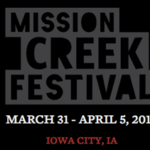 If you happen to find yourself in Des Moines in mid-July, I suggest you grab a couple of beers, find the stage where Crystal City is playing, and let them set the mood for your own summer movie montage.